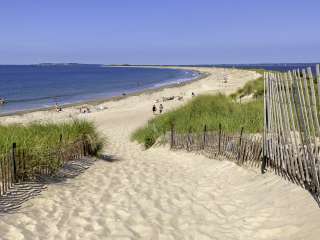 The South County Tourism Council is a non-profit organization dedicated to promoting the towns of Charlestown, Coventry, East Greenwich, Exeter, Hopkinton, Narragansett, North Kingstown, Richmond, South Kingstown, West Greenwich, and Westerly as a leisure travel destination. The SCTC’s promotional efforts include publication of a 100-page vacation guide; a year-long advertising campaign directed at our leisure tourism market; targeted sales efforts; public relations strategy; participation in numerous trade shows; and a comprehensive website. The SCTC is available to assist travel professionals including media, tour operators, and travel agents, aid in planning a meeting or corporate event, and provide information to help visitors enjoy the destination. Additionally, the SCTC operates a Visitors Information Center, offering maps, brochures, and information and always a warm South County welcome to visitors to our area. South County Tourism Council Board Meetings held monthly on the third Tuesday of each month. View our 2017 Annual Report. The primary mission of the South County Tourism Council is to plan, promote and market tourism beyond our eleven town region. Working within the applicable state policies and procedures, board membership has the opportunity to identify our target tourism market, and develop marketing campaigns that attract visitors to our area. For information on parks, beaches, hunting, fishing or boating licenses and permits, contact: State of Rhode Island Division of Parks & Recreation.